Today's top smartphones do an excellent job of producing great video. Devices such as the iPhone X can record 4K video at high frame rates to create smooth, sharp results. Most phones are now able to handle stereo recording with some degree of noise cancellation. But the tiny physical size of the microphone parts tucked into phones limits the quality of the resulting audio. 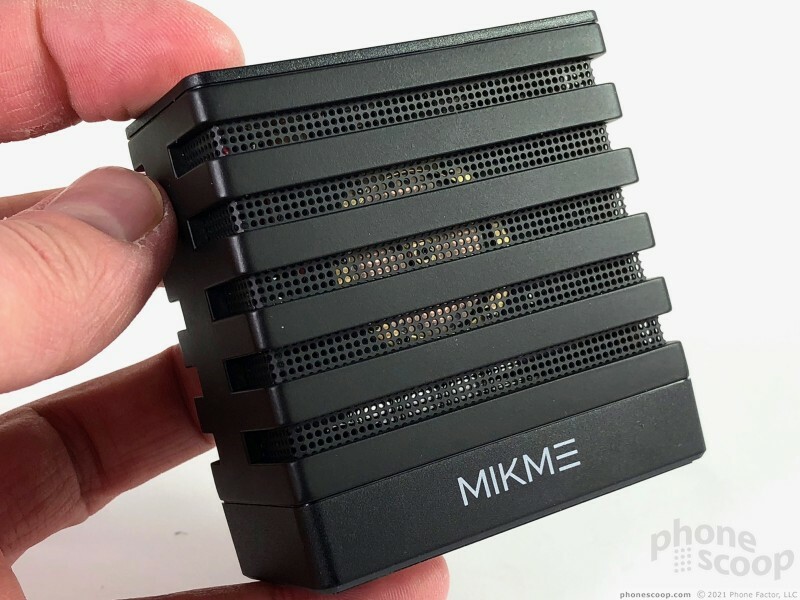 Mikme's offering includes a huge condenser for recording top-quality audio that easily syncs with the iPhone via Bluetooth. There's no mistaking what the Mikme is. It's a small box that reminds me of the radio-style microphones from the 1930s and 1940s. I could easily see Jack Benny speaking into the Mikme during his famed radio program. 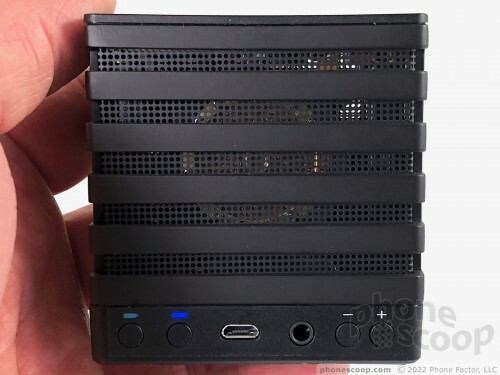 The Mikme measures 2.75 inches wide, by 2.87 inches tall, by 1.4 inches thick. This is a high-quality piece of gear. It's black and made mostly of metal. Horizontal bands cross the front and back with a metal grille filling the gaps. You can see the gold-plated condenser through the grille. A plastic plate covers the top surface, and a plastic cap forms the bottom portion of the mic. A single button adorns the top of the Mikme. This multi-function key starts/stops recordings and handles a host of other functions. It's backed by a multi-colored LED that provides good visual feedback. The remaining controls are all tucked into the bottom-rear edge of the mic. Running from left to right, you'll find the power button, Bluetooth mutton, microUSB port, headphone jack, and volume keys. 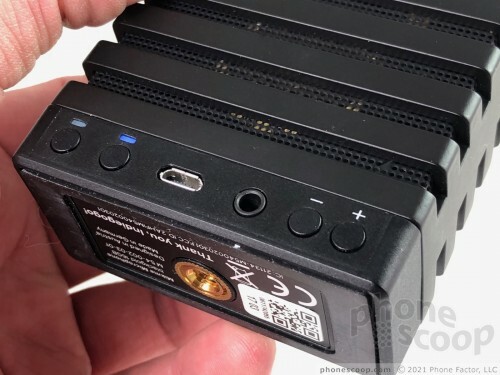 The power and Bluetooth buttons include LEDs that clue you into the mic's status, including battery life and connection. The buttons are tiny, but work well enough. Mikme was smart about the mount. The microphone includes a one-quarter-inch mount so it can be attached to tripods, selfie sticks, and other stands. A removable insert converts the mount to a three-eighths-inch screw, which is more common for dedicated microphone stands. This flexibility will sure win over those who may use both types of stands. The 3.5mm headphone jack lets you monitor your recording in real-time if you wish. You can plug in any standard pair of headphones. The volume toggles adjust the playback level in the headphones while monitoring. The microUSB port allows for charging, file transfers, as well as direct recording to a Mac or Windows PC. 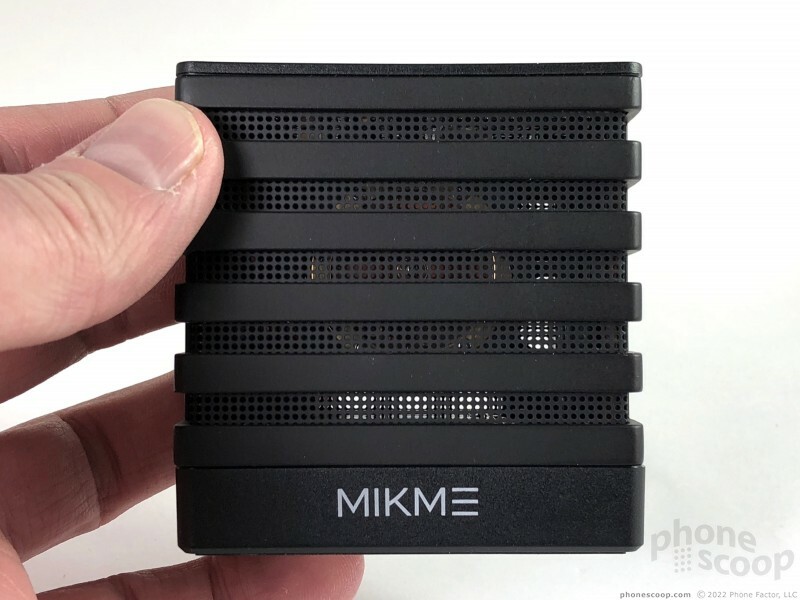 The Mikme is robust enough that I'm not worried it will get damaged when toted around in a backpack, though I still wish the kit included some sort of soft carrying bag or sack. The mic is simple to use, largely due do its clean design and straight-forward controls. Perhaps my favorite part about Mikme's dedicated app is that it allows you to chat directly with the company's founder and CEO if you have any questions. Seriously. Beyond that, the accompanying application is fairly powerful and lets you put the Mikme to effective use across a variety of recording scenarios. 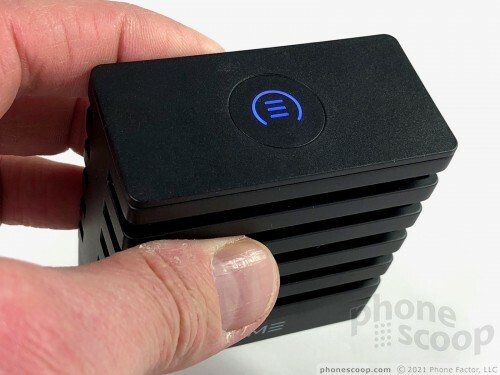 Once you've paired the Mikme via Bluetooth (you have to use the iPhone's Bluetooth menu), the Mikme can record just audio, or video and audio together. The buttons for audio/video capture are large and make sense. The app includes its own video capture tool. You can record via the front or rear cameras, and the settings are a cinch to adjust. I like that you can use the iPhone to record audio remotely. For example, you can set the Mikme somewhere else and use your iPhone from afar (well, up to 100 feet) to trigger recordings. The app includes a gallery tool of sorts that reveals all your clips, both audio and audio/video. The gallery is a great help when sorting through recordings. After you've completed recordings, you can use a basic editing tool to trim clips, apply effects, and more. This goes for just audio, or audio/video. Last, the app makes it easy to share your recordings to a spate of social networks and media hosting sites online, including Facebook, Instagram, Snapchat, DropBox, and YouTube. It's a nice, stable app that does what it should. My one complaint: the app isn't yet optimized for the iPhone X. Oh, and no support for Android. The Mikme performs great across the board. First, the Bluetooth connection worked flawlessly with my iPhone. Once paired, the mic and phone worked hand-in-hand without issue. Range is as good as 100 feet based on my tests. 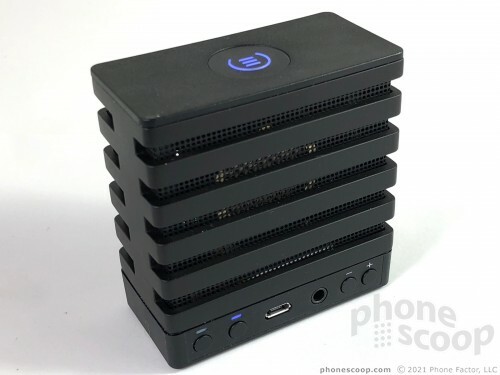 For the layperson, the Mikme records a wide range of frequencies at a higher sampling rate than what's possible on a smartphone. For those who want to know the nitty-gritty, a one-inch, gold-plated condenser capsule inside is supported by a built-in spider suspension, which helps block noise when handling the mic. It captures 24-bit sound using a 96 kHz analog-to-digital converter with a frequency range of 18 Hz to 22,000 Hz. 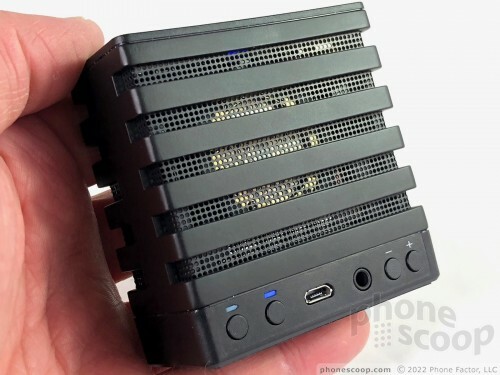 It can handle recording audio at up to 125 dB, which is rock concert levels of sound. The gain tool lets you dial the sound +/- 30 dB if needed — or put another way, lower the recording level to prevent distortion. Sound quality is outstanding. 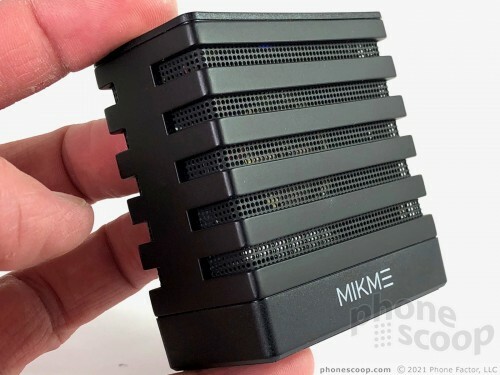 The Mikme produces results that are far, far superior to those possible from the iPhone alone. It's not even close. I sampled some recordings with my acoustic guitar, some spoken word, the general din of coffee shops and more. In every instance, the Mikme delivered greater range, depth, and clarity than the iPhone on its own. The Mikme outperformed some mics I've tested from iRig and other OEMs. 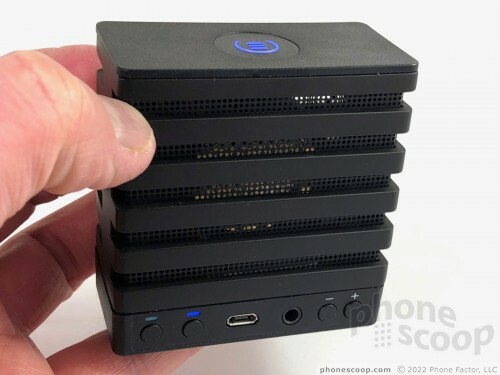 That the Mikme is able to do this and seamlessly sync audio with video via Bluetooth is the icing that takes the cake. It frees you from using wires that might otherwise get in the way. My one complaint about the sound is that the Mikme records mono only; it does not record stereo. I don't think this is a dealbreaker, particularly for podcasters or those recording a single instrument. The improved clarity and detail available from the Mikme makes up for the lack of stereo, as far as I'm concerned. Forgot your iPhone? 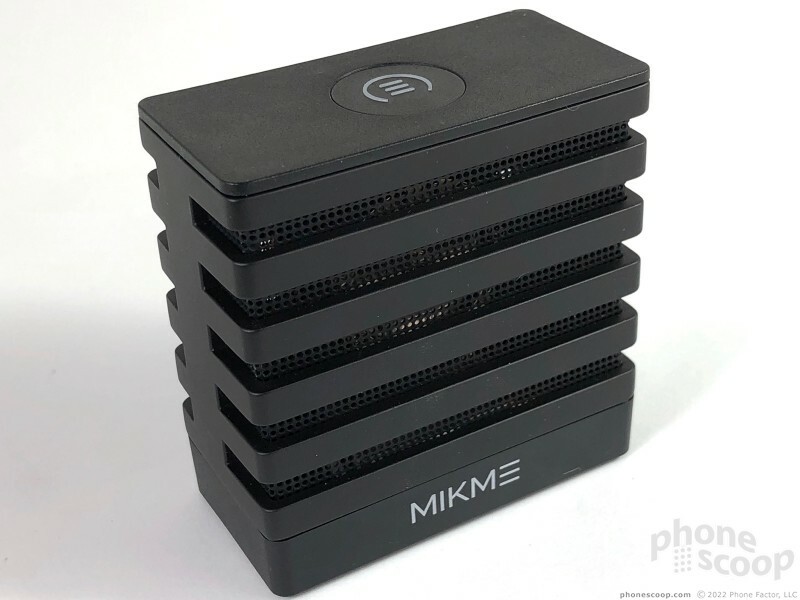 The Mikme includes 16 GB of built-in storage. 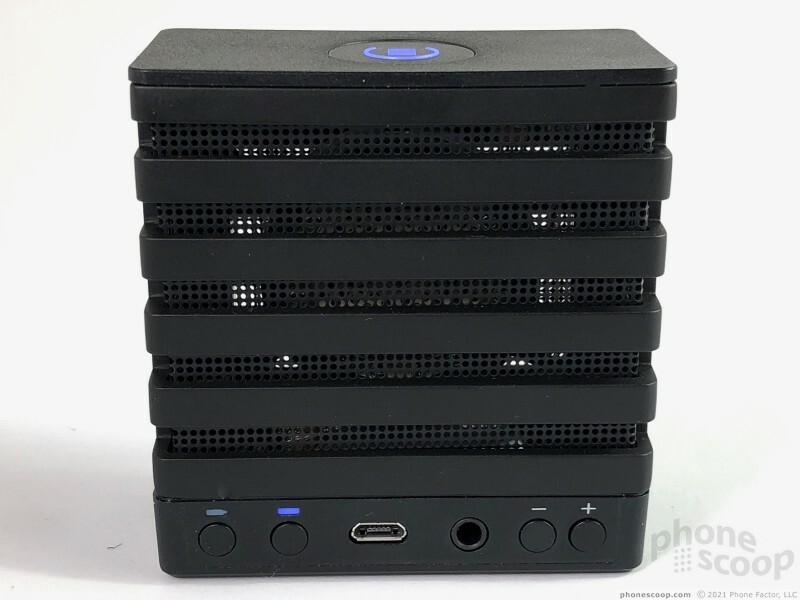 Mikme says this is enough to record up to 360 hours of MP4 audio or 34 hours of WAV audio. In other words, you can record you latest acoustic composition or podcast with just the Mikme and transfer the files to your iPhone later. That's clutch. Battery life is solid. 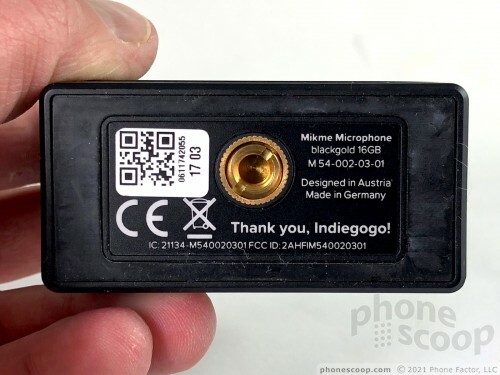 The mic has a 920mAh battery, which provides up to 3.5 hours of continuous recording. Surely that's enough for most podcasts and other recordings. It recharges via the microUSB port and charging takes at least 90 minutes. There's no question that the Mikme is the best external microphone I've tested. It is a high-quality piece of hardware that delivers the goods. The retro design is housed in a solid metal frame and all of the necessary controls are a cinch to use. Pairing the microphone with your iPhone is painless and the two work hand-in-hand seamlessly. The app is flexible and fun, making it simple to manage recordings and edit them or apply effects. More importantly, the Mikme records the best audio I've heard from any smartphone accessory. As is often the case, this level of quality will cost you. 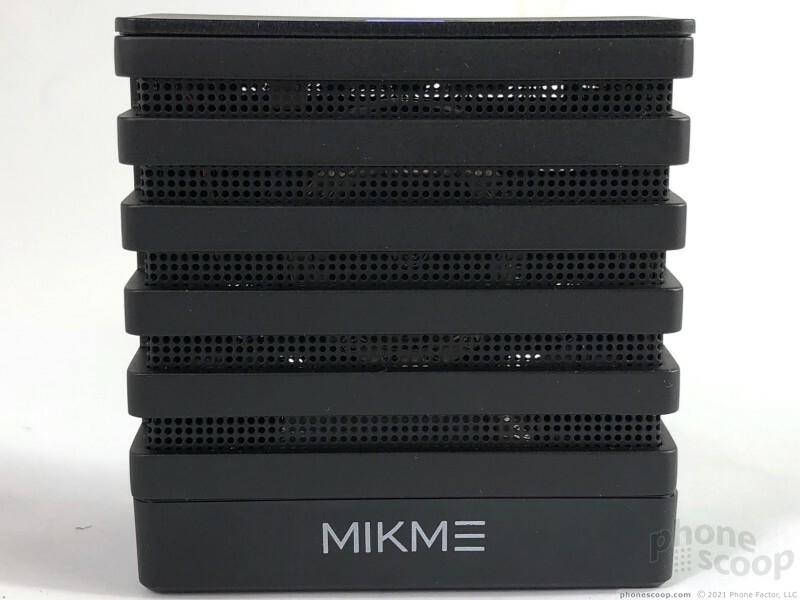 The Mikme is priced at a whopping $499 (available from Amazon). That's a lot of green for this tiny machine. 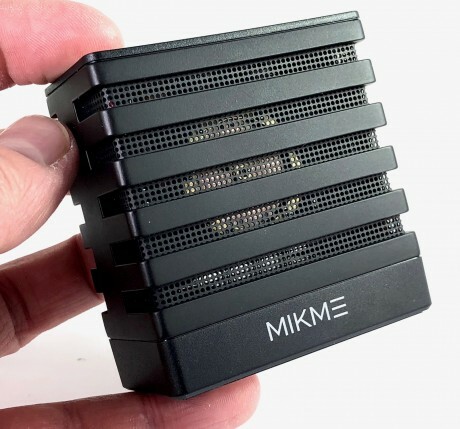 Podcasters, vloggers, and others who want to up their game, however, should consider adding the Mikme to their gear bag. If your income depends on audio, the Mikme is worth the investment.